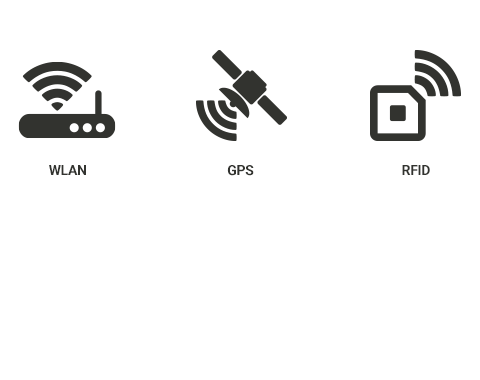 Wi-Fi based locating makes offering of location based services for all Wi-Fi-capable devices (notbook, smartphone, tablets) possible independend of GSM or GPS. Furthermore it allows to optimize workflows by locating employees and Wi-Fi-Tags teaching aids. With the GPS signals not only the position but also the speed of the receiver can be determined. Meaningful track tracing with waiting times, speed and operating data can be documented. RFID (Radio-Frequency Identification) uses radio waves for the wireless assignment of the identity (e. g. serial number) of an object or a person and gain meaning steadily. RFID systems offer a restricted reach of less than a meter why they are suitable for a selective locating. 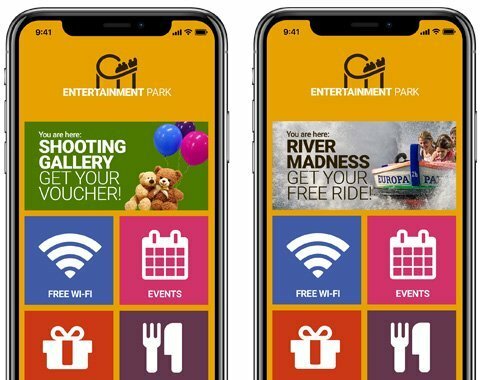 The combination of local information, like surroundings plans, sights or business with the technical infrastructure increases the comfort of the respective mobile device considerably. The users can make enquiries information about the current location with the own mobile. 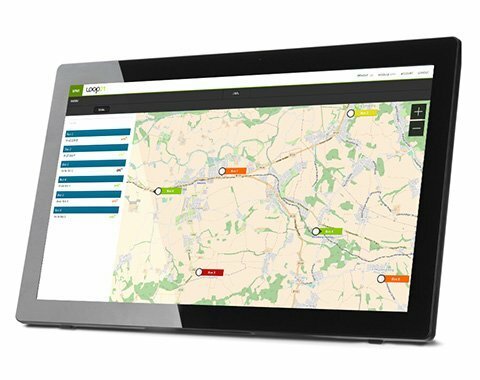 Information, like opening hours, menus, site plans or functions, like route planner can in addition be retrieved. Location Based services (LBS) are location-related services, which based on the current location provides the smartphone user with information which is in the context with his location. Since a mobilephone switched on always is in connection with a base station and the location can be locked roughly within the radio cell, one can offer the user location-related services. 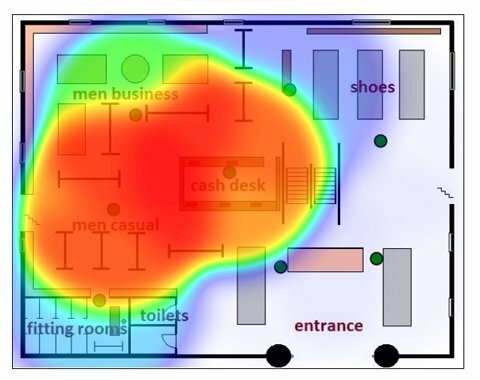 For an operator of public venues or buildings it is more and more important to analyse the exact positions of their guests and visitors depending on the daytime. So valuable information for building design, values of advertisement spaces or further location development are gained. The Heatmap enables the operator to draw conclusions based on the movements of visitors and guests within an area. There are daily analysis about the user behavior, how many Wi-Fi users have used the customer service at a specific location at a specific time.